Put simply, health insurance is a way to pay for healthcare. The description of it as “care” refers to all the medical services provided within the plan you choose such as illness visits, preventative care visits (for routine checkups, immunizations, cholesterol or blood pressure screenings, etc.) ER visits, or medications for prescription drugs. Participants in a health insurance plan save on the cost of these medical services and drugs based on the type of plan they choose. A person with health insurance saves money when seeing the doctor because, as part of large group of people all signed up with the same insurance company, they can take advantage of the rates (savings) the health insurance company has negotiated with those professionals serving in the medical field. In short, health insurance serves as protection against excessive medical costs incurred when you are sick or injured. But Why Do I Really Need Health Insurance? Lets dig a little deeper into the “Why?” question. After all that question explains our motivations for why we would be willing to pay tens of thousands of dollars over our life to maintain a quality health insurance plan. 1. Serves as a fallback to the uncertainties of life. Life is uncertain. We don’t know what’s going to happen in the future. You may be healthy or appear healthy today and the next moment you are sitting across the desk from a doctor who is giving you some bad news. Accidents can happen at any time. Health problems can happen at any time. Life can turn on a dime at any time. We could worry about these events or we could simply choose to be prepared for them when they occur. Health insurance helps us be ready to deal with it. Most of us will never have to deal with anything other than routine medical expenses. But what about someone facing a complex series of surgeries, diseases like cancer, physical disabilities or a long-term hospital or nursing home stay? I can see the dollars flying out of the budget simply writing that last sentence. This is where health insurance really pays dividends – in the case of a catastrophic medical event. By catastrophic I mean an event that could eat up your entire life’s savings to care for. In fact, this study conducted recently found that the majority of bankruptcies experienced were linked to a medical issue. That’s stunning and a major reason we need to use health insurance to protect our savings and investments for which we work so hard. The answer to that is “Yes…absolutely.” That’s called being self-insured and I’ll touch more on that later. It certainly is an option for those individuals who a) exhibit better than average health and b) have accumulated significant wealth. By paying for their own doctor’s visits and medical care they avoid paying a monthly premium to the insurance company. However, the vast majority of people do not fit with criterion “B” mentioned in the last paragraph. They have not accumulated the wealth necessary to fund a major medical issue or even be able to budget for routine medical care. They can’t afford to go it alone. They good news is they don’t have too if they purchase a health insurance policy. When I purchase a specific health insurance policy, I’m essentially buying into a plan with a group of other individuals. Because there are thousands of people who have purchased that plan, the insurance company can negotiate with doctors and hospitals for better rates on services. So instead of paying all the medical costs out-of-pocket, you pay a reduced rate depending on the plan you have chosen. Health insurance is not simply for the sick. Used properly, it can help promote lifestyle changes and lead to a healthier lifestyle. Health insurance plans provide preventative services such as routine physical exams or checkups and immunizations. By regularly seeing your doctor it may be possible to avoid more complex medical problems in the future. In addition, many health insurance plans offer education on various wellness programs and provide discounts on products and services to those who maintain a healthy lifestyle. Before I go any further into explaining how health insurance works and what types of plans to consider there are some basic terms you need to become familiar with. You will see these in all the literature as you research plans so it’s important to have a working understanding of what they mean. 1. Premium – the amount of money that you will pay for the health care plan. This may be paid monthly, quarterly or yearly by you directly or through your employer. 2. Deductible – this is the amount you will pay out-of-pocket for the services your health insurance plan covers before the health insurance plan begins to cover the costs. For example, if your plan deductible is $1,500, you will pay the first $1,500 of expenses. The insurance will then kick in and pay for expenses above $1,500 according to the terms of the plan. 7. Coinsurance – what you pay for a covered health care service calculated as a percentage of the amount of that service. For example, if your health care plan allows $100 for an office visit and you’ve already met your deductible, your coinsurance payment would be 15% of $100 or $15. The insurance company would pay the rest. 11. In/Out-of-network – a network consists of the services, suppliers, physicians and facilities contracted with by your health insurance company. “In” means those found within the network whereas “Out-of” means those not covered in your network. If you go to the doctor or have a hospital stay those bills will amount up to a certain cost. Upon the initial visit you will only be responsible for the co-pay amount the day of the visit (if applicable – some plans/visits do not require a co-pay). Once the medical service is rendered the doctor’s office will send the description of treatment offered in addition to the costs incurred for treatment to the insurance company. The insurance company will look at that information and decide how much of the amount it will choose to cover based on the terms of your particular plan. They will pay the doctor their portion of the bill. Once receiving the terms of payment from the insurance company, the doctor’s office will then issue you a bill for the remainder of the payment. In the scenario I mentioned above, you’d be responsible for the first $6,000 in expenses because that is your deductible. Subtract $6,000 from $70,000 and you have $64,000 worth of expenses that still need to be paid. Another term of your plan is that you have coinsurance of 20%. So you will be responsible for 20% of the remaining amount – in this case $12,800 ($64,000 multiplied by .20). Still a lot of money for sure. But this amount, coupled with your deductible, exceeds your maximum out-of-pocket expense of $8,000 for the year. So in the end you will pay $6,000 towards your deductible plus another $2,000 of coinsurance (or whatever is required to reach your max out-of-pocket). The insurance company pays the rest of the covered expenses. Plus since you’ve reached your maximum out-of-pocket for the year you will not be responsible for any more covered medical expenses. In this instance, that’s a hefty savings. All that in exchanged for a monthly premium paid to your insurance company for the type of plan you choose. A person can choose to go varying routes when securing health insurance. The first question to probably ask is “Do I want to get (or am I offered) health insurance through my employer?” If that’s not an option or you don’t like/can’t afford the plan that’s offered, you will want to look at purchasing a plan as an individual. Usually includes an annual deductible and coverage begins after it has been fully paid. Coverage is sometimes available prior to meeting that deductible for services such as doctor visits (which require a low Co-pay). Includes a network of physicians, hospitals, and specialists that have agreed to offer services at a reduced fee. No referral from a primary care physician is required to see a specialist. Allows the flexibility to visit providers outside the network for a slightly higher fee and a separate deductible. 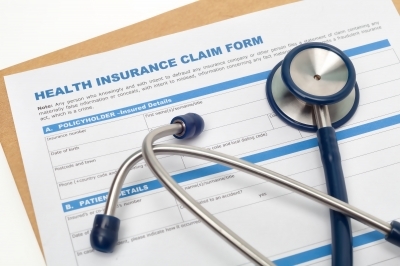 Often requires a claim to be filed before your benefit reimbursement can be made. Co-pays and monthly premiums are typically higher than that of an HMO plan (see below) due to the flexibility. HMO plans usually have co-pays and monthly premiums that are lower than those of a PPO plan. There is a network of physicians, hospitals, and other specialists offering services at a reduced fee. The patient chooses a primary care physician who helps coordinate the patient’s care. This physician must provide a referral for the patient to see an in-network specialist. No coverage for providers outside of the HMO network of physicians, hospitals, and specialists, meaning you’re charged the full fee if you choose to visit them, with the exception of medical emergencies. Few or no claims to be filed, since the insurance company pays the provider directly. Tax-favored savings account that can be used with an HSA-eligible health insurance plan to help make healthcare more affordable. To contribute to an HSA, you first have to enroll in a High Deductible Health Plan – an IRS name for a certain type of health insurance plan. With these types of plans, premiums are lower than standard health insurance policies, but the deductible is higher. Once you purchase the eligible health plan, you go to a banking institution to open this account. Intended for individuals to put away savings that will be used for qualifying health-related expenses, such as co-pays and deductibles. Funds are in an interest-earning, tax-free account with no use-it-or-lose-it limits; that means if you don’t spend all of your contributions in a year, the balance rolls over to the next year and continues to build interest, while maintaining its tax-free status. Money is meant to be withdrawn for medical expenses. It can be withdrawn to be spent on non-medical expenses, but will be taxed as normal income and may be subject to withdrawal penalties. HSA holders can choose to save up to $3,300 for an individual and $6,550 for a family (HSA holders 55 and older get to save an extra $1,000 which means $4,300 for an individual and $7,550 for a family). These contributions are 100% tax deductible from gross income. Minimum annual deductibles are $1,250 for self-only coverage or $2,400 for family coverage. Annual out-of-pocket expenses (deductibles, co-pays and other amounts, but not premiums) cannot exceed $5,950 for self-only coverage and $11,900 for family coverage. A fourth option might be what’s known as a POS (point of service) plan. These plans combine elements of an HMO and a PPO and allow the holder some out-of-network coverage. With a POS plan the insured is able have access to a wider range of services and specialists if the need should arise. For that privilege of greater access you will likely pay more in monthly premiums and out-of-pocket expenses than with an HMO or PPO. Your eyes may have glazed over a bit reading those descriptions from Humana. It is important though to understand the differences between the plans and know the options. No health insurance plan is going to cover all medical expenses so it’s imperative to know which one might best help your family manage. 1. Do you currently have healthcare issues? Your current health can have an impact on the type of plan you are eligible for, what type of coverage you receive and how much it costs you. In addition, you will want to consider what the future may hold as far as health services you may need. Things like family medical history, smoking, drinking, or ability to exercise may have an impact on your future medical needs. 2. What will the plan cost me? Know exactly how much the plan may cost you. Not only calculate the monthly cost of the premiums but consider what the maximum amount of money you will have to pay for health services. Would you be able to cover those expenses under the plan? Also pay specific attention to what the plan covers. If you have noticed I’ve used the phrase “covered medical expenses” multiple times in this article. There is nothing worse on your pocketbook than thinking a medical service is going to be covered and then, after services have been rendered, realize it’s not. For most this is the big question…Can I afford it? This will require a clear evaluation of your monthly budget to see how health insurance premiums fit in with your other monthly expenditures. The temptation will be to find a bare bones policy to keep costs low. While understandable, that might not be the best route to take. A more expensive plan may give better access to important services you’ll need. If you feel plans are too expensive for your monthly budget at least begin a savings account specifically designed for medical expenses. If you’ve begun to research health insurance plans you may find yourself asking, “Why are these plans so expensive?” That’s actually not too difficult a question to answer. There are many reasons that have lead to the high cost of healthcare. For starters, our lifestyle as a society is contributing to the high cost of healthcare. Some of our medical issues can be related to genetics but a majority can be traced to lifestyle choices. Excessive consumption of alcohol, smoking cigarettes, poor diet and lack of exercise all can lead to chronic conditions that must be treated withing the healthcare system. We are also living longer thanks to advances in medical technology and drug development. However, the research necessary to test and manufacture new technology and bring drugs to market is extremely expensive. It’s helping us live longer which is positive. The drawback is that we simply need more treatment as we age. Furthermore, there is a large portion of the population that is uninsured. In other words, they don’t have a healthcare plan. However, hospitals and doctors are still required to treat the patients when they arrive at their facility – no one is ever denied health treatment. So those with insurance end up footing the bill for those without. Of course we will always have issues like fraud, malpractice suits, and cost of inflation increases that are driving up prices. Bottom line is that health insurance is expensive. Stay healthy. More than anything this will help you reduce costs. Maintain a healthy, well-balanced diet and avoid excessive consumption of fats, sugars and salts. Exercise regularly (even walking 20/day is great) and avoid the destructive lifestyle habits I mentioned above. Regular checkups. Get those regular, yearly checkups especially if you are over 40. By doing this you can head potential medical issues off before the issue progresses. Analyze your deductible. Generally speaking the higher a plans deductible the less the monthly premiums will be. This is so because by raising your deductible (from $5,000 to $7,000 for example) you will be taking on more financial risk. The insurance company “rewards” this risk taking by giving you a lower monthly premium. Whatever deductible you choose make sure it’s in your ability to pay. Stay In-network. Always look to stay in your network of doctors when seeking medical care. Going out-of-network will cost you more. Ditch the brand name prescriptions. There really is no reason to go with expensive brand names for medications unless that is the only option. Most drugs have a generic that will cost much less. Save the emergency room for emergencies only. The emergency room at your local hospital should only be used for emergencies. Almost all medical needs can be taken care of at your doctor or an urgent care facility. Review all medical bills for mistakes. Find the best rate on procedures. There is competition for your business in the healthcare industry just like all other industries. So call around to different service providers to find the best rate on the procedure or treatment you need. Choose the minimum coverage necessary. Going this route at least you will have a basic plan to cover large medical expenses. Healthcare reform has become a hot topic in recent years when in 2010 the U.S. government passed the Affordable Care Act expanding healthcare coverage to many more Americans. Many debated the legality of this law, so much so that the piece of legislation was challenged all the way to the Supreme Court. In the end the executive branch of the government won their case and ushered in a new era of healthcare and medical services. This section will not be devoted to the legality or the controversies surrounding the law or the difficulty many are having finding healthcare plans they can afford. Rather, I’ll simply take a look at the major changes that have come about as they relate to the healthcare industry. In order to facilitate the purchase of health insurance plans the law established the formation of marketplaces (also called exchanges). The marketplace functions as an online portal that is run by either the state or federal government. Individuals can sign into the marketplace and shop for coverage from health insurance companies. The marketplace simply serves as another means by which individuals can shop for coverage. Coverage can still be purchased through a private agent, your employer or directly from the insurance company. So the higher the percentage the more expenses the plan covers and the more costly the plan becomes. Regardless of which plan is chosen in the marketplace, a person will be covered by the same set of essential benefits starting in 2014. Formerly insurance companies could choose what type of health benefits they covered for each type of plan. With the passage of the ACA, companies in and out of the marketplace are now required to include 10 essential health benefits in all their plans. Those are the minimal requirement for health insurance plans. However, companies may offer additional options including birth control benefits, breastfeeding benefits or dental benefits. Children up to age 26 can stay on their parent’s health insurance plan. An individual cannot be turned down for insurance coverage because of a pre-existing condition (i.e. a medical issue you had before purchasing insurance). Preventative medical screenings (like annual physicals, blood pressure tests, gynecological visits) are covered at no cost provided you see a doctor within your network. Are There Alternatives to Purchasing a Health Insurance Policy? As you could probably gather from the last section on healthcare reform, the industry has gone through some dramatic changes, some of which people are not happy about. According to the individual mandate written within the ACA law everyone must purchase a health insurance plan. Well one alternative that you might consider is to self-insure. That means you fund and pay for all medical expenses from your own income. The benefit is that you don’t have to pay a monthly premium to an insurance company. Of course, choosing this route means you will not be in compliance with the law and will face a fine as outlined above. A further downside of self-insuring is that you have no coverage in case of a catastrophic medical event. Should a lengthy hospital or nursing home stay cost you one million dollars you will be responsible for that amount. Another alternative some are seeking is what’s known as a health-sharing plan. These plans do not function like traditional insurance where your medical expenses are covered by one of the major health insurance companies. Rather, it’s a plan where members pay a monthly premium into a group fund (or pool) and share one another’s medical expenses from that fund. Money can be drawn on when medical needs arise. Companies like My Christian Care Medi-Share and Samaritan Ministries have been providing services like this for years. They are gaining in popularity now because they are exempt from the conditions written within the ACA. Thus the costs are considerably lower. From a laymen’s perspective like my own, the health insurance industry has only become more complicated in recent years. That’s why it’s important to do your research beyond what I have written here in determining what plan will be best for you. Cost will be a huge factor for sure. But in the end you want the best type of coverage that will provide for the present and future needs of your family. Questions: How are you funding your healthcare – by traditional or alternative means? What other ways can we save on health insurance? Have you experienced changes due to the ACA?What’s your experience been like with the Marketplace? Should the government be mandating health insurance for all? Thank you thank you thank you for this wonderful article. This helps a lot. These guidelines are really helpful. Thank you uploader. I’ll tell my mom about it. I really like your post.Even though the Patient Protection and Affordable Care Act (PPACA) was signed into law in 2010, America’s solution to health care is still hotly debated. Still, it’s important to keep abreast of how health insurance works as the landscape changes. As an informed consumer, understanding the building blocks and types of health insurance can help you avoid confusing and misleading lingo, which will ultimately end up saving you money. Regardless of the particulars of any plan, some concepts are applicable to all of them. These are really great insights into insurance. I think insurance options are getting wider, and the more they become more, the more difficult it gets for people to settle on the best option of insurance. Liked your post so much…! With the increasing expenses of medical services, the need of getting a medical insurance is also increasing. It is almost impossible for anyone to pay those huge medical bills. Your post explains everything about health insurance, its need and types. I was so confused that which type of insurance plan will be best for me. But thanks to your post, I am able to choose the best one. Looking forward to see more such post!!! Wow…..this is a great guide. Thanks a lot for sharing this. Interesting article- I was looking for some info on the US Healthcare system as we know little about it. Do you think Obamacare has worked so far- and do you have a view on Donald Trump scrapping it? I thoroughly enjoyed reading your post. You did a great job at informing people. This post is guaranteed to save your readers a lot of time and effort when they decide to dive in and make their health care choices. Really like that this focusing more on the logistical side of finding a mental health professional because I have not been able to learn as much about that as I’ve wanted to. I’m glad you pointed out the importance of finding a provider that is suited for you. My daughter is thinking about visiting a mental health professional, so we will need to ask around to find a reference like you suggested. Thanks for the information! I will look forward for more information. Really Brain you tell that It makes sense because health expenses for major medical events could bankrupt us. it”s true . I agree with you that out of all the insurances, health insurance is the most sought after. It makes sense, our health is more important to most of us. Thanks for the information about it. I’m just learning about health insurance. It’s nice to know that I can protect my assets against catastrophic events. It makes sense because health expenses for major medical events could bankrupt us. I don’t ever want to leave myself open to that. I definitely agree. It’s always better to be safe than sorry. Thanks for the reply! That’s great that one of the benefits is ambulatory patient services. Outpatient care centers probably prefer transportation by ambulance when possible too. It seems like that would give them a better heads up on what to expect from an incoming patient. Fantastic article. I learned a ton from reading this. Health insurance has become so complex. This is a wonderful resource for those wanting to know more about health care and the affordable care act. It’s been so interesting to see everyone’s opinions about the Affordable Care Act. I wish it wasn’t so expensive to pay for private insurance. We got really lucky and have free insurance thanks to my husband’s job. Considering how out of control billing can get in a hospital, insurance is just NOT something you should skip. I hope that ultimately some kind of regulation comes in for hospital billing. Seeing the itemized list of charges from when I had my son, I was blown away! There’s no way we could have afforded the delivery without my husband’s insurance. “…insurance is just NOT something you should skip.” I agree Jenn. I wouldn’t go without it. The longer and longer ACA is in place the clearer it’s becoming to me that it’s just not working. Too expensive, can’t get the doctors you want and still so many people uninsured. Doesn’t seem to be doing what it was intended to do for the vast majority of people. We are really lucky to have health insurance through my husband’s employer. We have a reasonably low deductible and out-of-pocket maximum. For the first $2000 we spend (towards, say, delivering our baby) we pay 80% of that. And for the next $8000 we would only pay 20% (so $1600) and after that, they cover 100%. So in case we found ourselves in an emergency c-section situation which could EASILY cost over $20000 in the USA… we wouldn’t have a significant financial burden. We have a fairly comfortable savings threshold to plan for emergencies like that. I am starting my own business this year. It would be great to be able to provide health insurance coverage to my employees. The last thing I want is a business that has employees who are sick and never show up. Is there an insurance company that is geared mostly towards startup companies like mine? Off the top of my head I’d say most insurance companies would write you a policy. I don’t know if some specifically target startups as their niche. However, as a startup I’d only make health insurance available to purchase. In other words I don’t know if I’d provide it as a 100% benefit to the employee. It’s very expensive as you know and I’m guessing as a startup you’ll need capital flowing to other parts of the business. Maybe you could share in the cost of it with the employee or role that feature out later as the business gets established and you have more money to allocate to benefits. You actually bring up a good point about how health insurance can protect against the uncertainties of life. I’ve been avoiding purchasing health insurance by justifying that I’ve had no reason to suspect that I may need it. You never really know what may happen, so being prepared for the worst is the best course of action. I’ll have to see if I can get a policy set up for myself in the next few weeks or so. “…justifying that I’ve had no reason to suspect that I may need it.” I would say many people take that route and believe the same thing. But illnesses can happen at any time even if we feel in peak physical condition. I’d sacrifice what I could in the budget to get on a plan. It is hard to choose what insurance company to go with. You hear so many nightmare stories about them leaving you in a crisis. Great post with lots of helpful info. Fortunately, I’m now on Medicare, but I did use the marketplace for coverage just prior to that. Healthcare is a huge part of my household budget, so saving money there is critical. Some other ways to save include choosing medications which are on your insurer’s formulary (list of approved medications), using co-pay assistance programs for brand name medications (check the manufacturer’s website), and knowing/exercising your rights when your insurer denies coverage for a service or medication (be sure to follow the appeals process). It became a greater percentage of our budget this year with the huge increase in premiums we saw. Wasn’t too happy about that…fortunately we are still able to make it work for us. Had to increase our deductible to make it work though. Definitely some valuable info here Brian. You generally see snippets here or there and opinions all over the place, but it’s good to get all the info out there so people can make their own decisions based on their situation. Ben Luthi recently posted…How Much Would You Put Up With to Save Money? Thanks Ben…I was looking to consolidate all that I know for references sake just because the information is so spread out here and there. Hey Brian, you did a great job at informing those who may not have known much about this information. This article is guaranteed to save your readers a lot of time and effort when they decide to dive in and make their health care choices. Yes I can see that you spent a great amount of time on this article and I pray that your investment in time and effort pays off for you big time. With the mandates of health care weighing down on many working class Americans your article should be a source that they will search out. This is an excellent piece Brian! You know my thoughts on the ACA/Obamacare, though honestly it at least someone trying to make a step in the direction of cleaning up an absolute mess of a system. That said, I think what the changes should force us to do is think much more like consumers when making our healthcare decision – meaning to find what works best for you and your situation financially, from a health perspective and so forth. That will take time to do, of course, but it’s vital to do. “…think much more like consumers…” I agree John. Even with a mandate there are still options. It would be wise of us to consider all the alternatives. This is a great guide Brian!! I know that the Affordable Care Act has made healthcare a complicated task for many individuals because it is forcing them to consider an option; however, I think it’s critical for everyone to spend time on this. We all look for ways to save money, and not waste money and with all the complexities around healthcare, it makes sense to invest the time and understand your options so that you know that you are making the best financial decision possible. “…invest the time and understand your options…” Agreed Shannon…people really have to look into this. Things seemed much simpler under the old system…and even though there was some controversy, there was less controversy if that makes any sense.